Mating an unusually wide and versatile 5x zoom lens to a high-resolution sensor, the Olympus FE-5030 is one of the more interesting credit card sized cameras around. When used as a strictly point-and-shoot camera, it does not really disappoint, either - the iAuto mode works surprisingly well. Some of its performance indicators, such as start-up and shut-down times or the speed of zooming, are in fact above average for its class. However, once you try to assume control of the shooting process, the camera's shortcomings quickly become obvious. 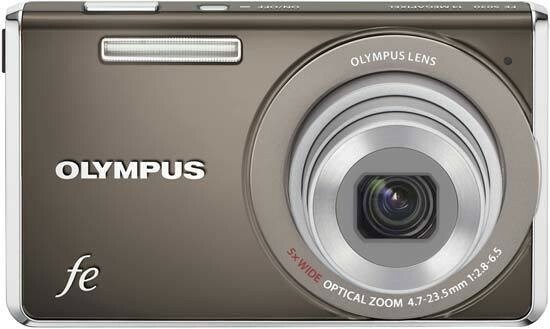 From a user interface point of view, the biggest issue with the Olympus FE-5030 is a lack of quick access to exposure compensation and ISO speed. Olympus could easily have mapped these functions onto the Left and Right buttons of the four-way pad, which would instantly have made the FE-5030 a lot more intuitive to operate. Other handling-related issues include slow menu navigation, the lack of a histogram to check exposure, and a propensity of the camera to slip into the digital zoom range once you reach the telephoto end of the optical zoom range. On the performance front, while some of the indicators - as noted above - are excellent, others - such as shot-to-shot speed - are rather disappointing for a 2010 model. Auto-focus lag is average for this class of camera, whereas pre-focused shutter lag is a non-issue. The biggest AF-related problem is a recurring false indication of focus at the telephoto end, which sometimes results in blurry photographs. Image quality is also a mixed bag. While the lens can produce sharp results especially at medium focal lengths, blurry corners and edges can also be noticed at the extremes of the zoom range, particularly at the telephoto end. Colours are more or less true to life, but strong reds can turn partially orange, and generally suffer from over-saturation / poor tonal separation. As expected from a tiny, 14-megapixel sensor, the images often exhibit visible noise even at base ISO, and the highest sensitivity setting of ISO 1600 is pretty much useless due to a combination of high noise levels, the adverse effects of in-camera noise reduction and a loss of saturation. On a more positive note, chromatic aberrations are very well controlled across the entire zoom range. Having said all that, the Olympus FE-5030 is at least competitively priced, and people trading up from a camera phone or a run-of-the-mill 3x zoom compact will surely appreciate things like image stabilisation or the super wide angle and versatile focal range of the lens. More advanced users looking for a pocket-sized camera will, however, probably want to look for other options.